When it comes to your business, particularly in the case of bars and restaurants, you want every inch of your premises to reflect your brand. From the finest dining furniture and cutlery to washrooms with the very best hand dryers for bars and restaurants, every purchase matters in creating a cohesive and quality business space. It’s also important that every part of your building follows hygiene regulations, especially in the food and drink industry. One way to take steps towards a hygienic bar or restaurant is to make sure that appropriate hand dryers are available in all washrooms to avoid the spread of germs in to working, drinking, or eating areas. If you’re looking for the latest hand drying technology that is both sleek and contemporary in design as well as function, look no further than the Ninja. Its steel exterior and illuminated drying area give it a super-modern look and it can easily become a central feature of your washrooms. The Ninja also has HEPA filter technology built it, which filters bacteria out of the air so that only clean air is blown onto the hands. It’ll show your customers just how fast and modern a hand dryer can be, as they’ll be leaving the washroom with their hands completely dry in just 10-12 seconds. If you’re tight for space, the Jet Blade Pro packs a lot into a very slim build. This dryer is one of our latest releases and it won’t take up much space in your washroom while still delivering excellent hand drying performance! Its jet blade blows air at high speed, scraping water off hands in under 12 seconds. 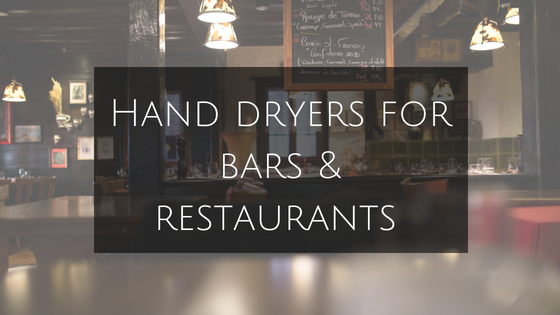 It’s also one of our quietest hand dryers so it won’t disturb other guests in your bar or restaurant. Every little saving counts when running a business, so when it comes to buying hand dryers you need to consider running costs and energy efficiency as well as base unit price. 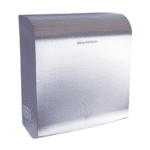 We have a large selection of low energy hand dryers, spearheaded by our popular MX2000. This dryer is 75% more energy efficient than most hand dryers on the market, drying around 100 pairs of hands for just 2 pence worth of energy! 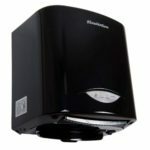 If you’re looking for a low cost, energy efficient hand dryer that still has power and speed, the MX2000B Jet Blade Hand Dryer is the way to go! A great way of marketing your brand and making your hand dryers bespoke is by using our customisation service. We can have your brand logo printed on each hand dryer which is a great personal touch for your washroom. Plus, the more hand dryers you have customised, the cheaper the price per unit! 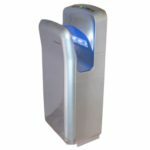 These are just some of our choices for perfect hand dryers for bars and restaurants out of our full range. These choices won’t only look good in your washroom, they also provide a high speed, comfortable, and hygienic drying experience. 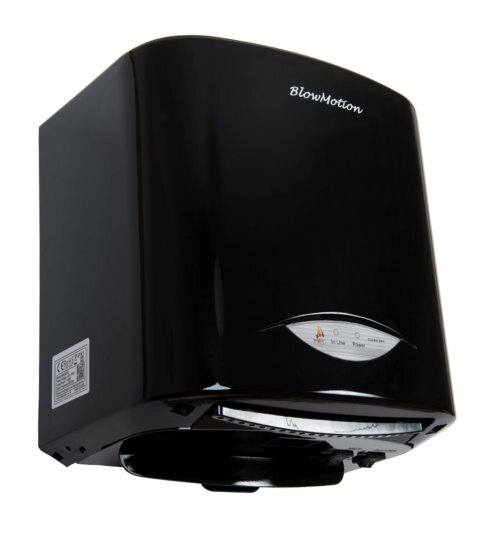 All of our hand dryers are affordable to buy and the running costs are next to nothing! Order your commercial hand dryer today by calling 0800 002 9678.